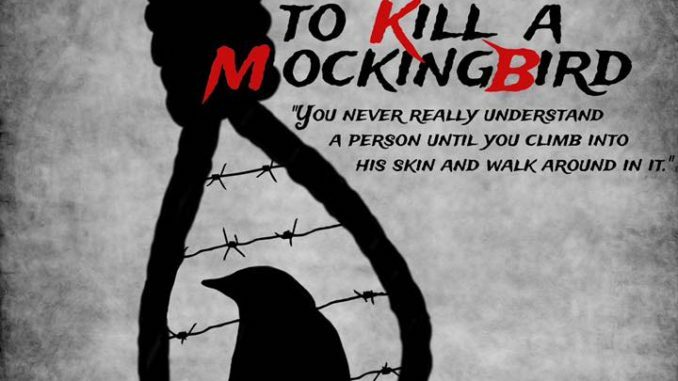 To Kill A Mockingbird by Harper Lee at the Gallery Theater in Ahoskie, North Carolina, February 17 – 26, 2017. February 17, 18, 24 and 25 at 7:30 p.m.
February 19 and 26 at 2:30 p.m. Starring Chowan University’s own Steve Harders, Professor of Speech & Drama as Atticus Finch, this coming of age story vividly depicts injustice and tolerance. It serves as a powerful experience that young adults will relate to as many of us remember. Adapted by Christopher Sergel from the novel by Harper Lee. This production is directed by Chowan University adjunct, Hope Miller.